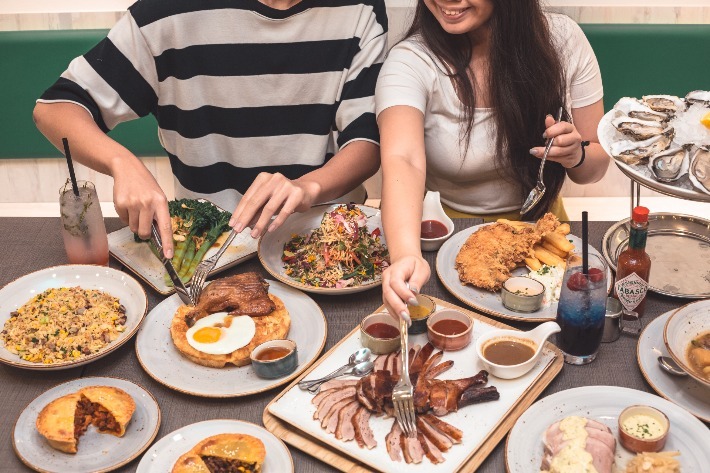 Famed for its contemporary approaches to traditional Chinese food along with its unyielding commitment to theatrics and witty presentation, Lokkee, part of the TungLok Group, is one Chinese restaurant that impresses time and time again. 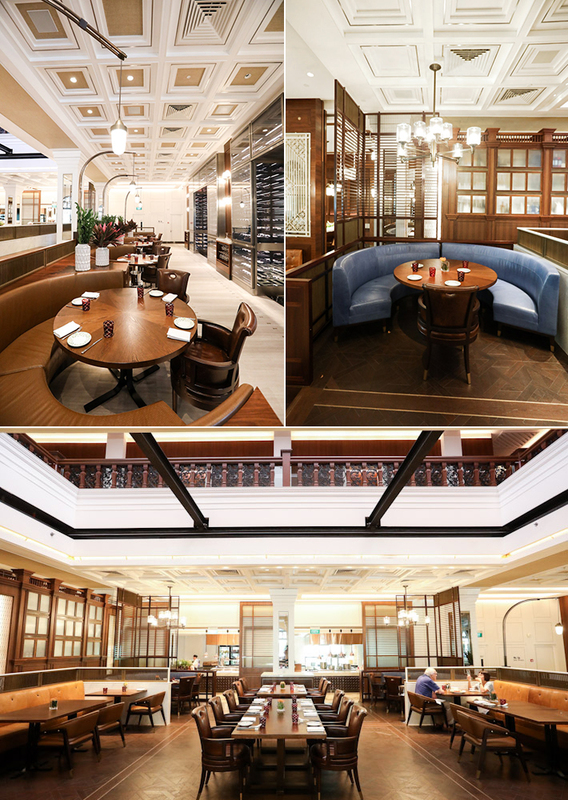 The restaurant reinterprets and elevates the traditional Chinese recipes with a dash of Western influence, celebrating the unique style of cuisine that is commonly found in Chinatowns dotted across major, non-Chinese cities around the world such as New York, London and Sydney. Master chef, maverick and culinary rule-breaker, 3-Michelin-starred Chef Alvin Leung is known for defying the laws of culinary gastronomy, crafting stellar dishes that excite the senses and go far beyond merely tasting superb. 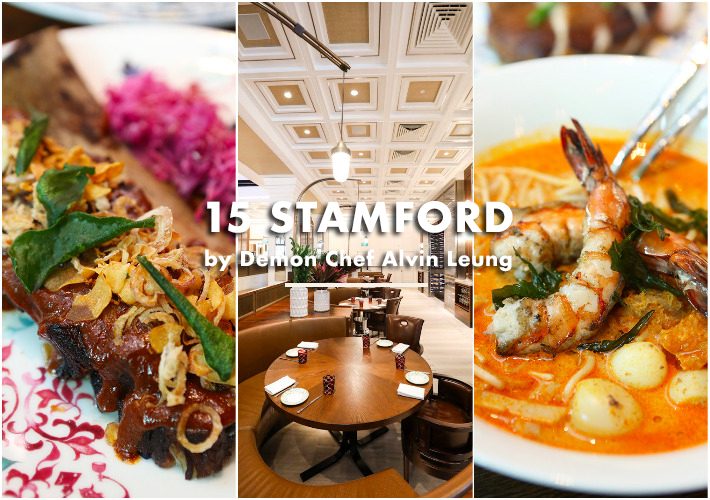 Newly opened, 15 Stamford by Alvin Leung over at The Capitol Kempinski Hotel Singapore pays humble tribute to various Asian cuisines in and around Southeast Asia. The menu features a host of dishes that showcase innovation, gutsy elaboration but above all, a contemporary twist on Asian favourites, all designed by the self-proclaimed “demon chef” himself and inspired by his many travels across Asia. Designed to tease and astonish in a myriad of ways yet keeping true to the spirit of each style of cuisine, we were thoroughly impressed by the 72-Hour U.S. Short Ribs Rendang and Pickled Cabbage that, besides being tender beyond belief, was richly aromatic and nuanced. 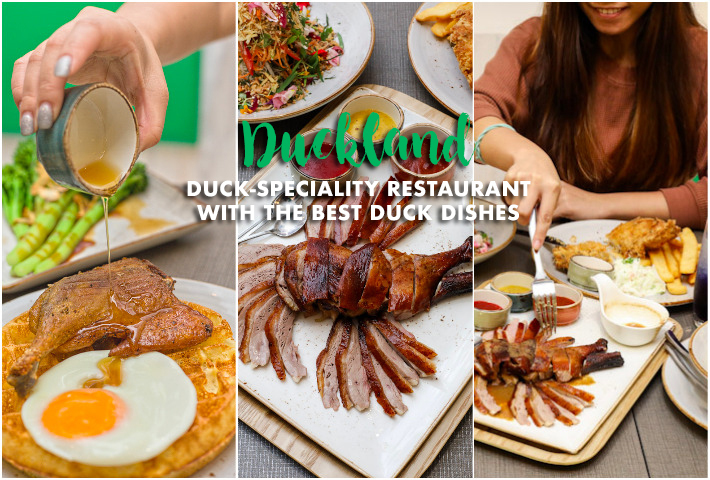 The menu is carefully designed to suit anyone and everyone, from those new to the deeply-rooted flavours and recipes of Asia to locals keen on experiencing a contemporary approach to classic favourites. We were feeling a tad bit sad that Christmas has come to an end but then we remembered that the Chinese New Year is just around the corner. We are excited to usher in the year of Pig and for us foodies, Chinese New Year means one crucial thing: another round of intense feasting! Food and reunion meals are an absolute must for Chinese New Year. While many people prefer to whip up a reunion meal by themselves, sometimes it is almost impossible to feed the sheer number of guests you have. But there are plenty of reputable and reliable catering companies out there that can do the job for you. One of these companies is Stamford Catering, and they are a common name when you need suggestions for stellar buffet line-ups to satisfy the masses. The coming of the Lunar New Year marks the start of many things for the Chinese, with excessive feasting and snacking ranking the highest among our list of priorities. Among the popular mainstays such as pineapple tarts, love letters and other confectionery delights, the one we always go berserk for, is bak kwa—otherwise commonly known as rou gan or barbecued pork jerky. Starting out from humble roots, turning his interest into passion and passion into a business, founder, Mr Teo Kim Tee began his own signature brand—New Eastern (Kim Tee) Dried and Minced Pork—back in 1976, setting up shop in the heart of Serangoon Gardens. They’ve remained at the same location ever since and have now grown to become a popular name among many. Their bak kwa is unique in that it is made considerably thinner than most, allowing the complex smoky aromas and sweet, porky flavours to melt on the tongue. Priding themselves on producing bak kwa that is 100% hand-made, their products begin the traditional way, cooked in a charcoal oven before subsequently grilled over a charcoal stove. As of today, the family heirloom that is Mr Teo’s bak kwa is run by his two grandchildren who not only aim to ensure that his legacy lives on but to give the brand itself a breath of new life through contemporary approaches—all while maintaining the stellar standard of their traditional handmade bak kwa.